The internationally acclaimed, award winning Nigun Camber Enemble (“Nigun” in Hebrew means melody) is devoted to the preservation of a unique musical heritage stemming from Jewish composers and their communities in pre-war Eastern Europe. The ensemble, consisting of piano, violin, cello, clarinet and two singers (baritone and mezzo-soprano), presents varied and innovative programs, which include Jewish classical and folk traditions ranging from klezmer to chamber music, art song and liturgical music. The group's unique repertoire consists of a variety of genres and embraces Jewish folk songs in Hebrew and Yiddish , set to contemporary arrangements for quartet and two singers, popular folk music, as well as classical chamber music and art songs and significant instrumental pieces by some of the most prominent Jewish, Russian and European composers of the 19th and 20th century, including Tchaikovsky, A. Rubinstein, Rachmaninov, Prokofiev, Shostakovich, Achron, Bloch, Weiner, and others. The Nigun Ensemble programs, featuring a wide variety of rarely heard works of great musical and historical interest, serve both educational and cultural goals - to promote interest and awareness of Jewish musical heritage and enrich the musical environment of the entire Jewish and Russian American community. The ensemble was originally founded in St. Petersburg, Russia in 1991 by its artistic director and internationally renowned pianist Yelena Neplok. All members of the ensemble were graduates of the St. Petersburg Conservatory, and had extensive performance experience in Russia and abroad. The Nigun Chamber Ensemble was the first ensemble of top musicians in St. Petersburg devoted to the performance of Jewish folk and art music. Even during Perestroika it was considered daring to perform Jewish music that had been suppressed for so long under the Soviet regime. The Nigun Chamber Ensemble toured throughout Russia, performed in numerous Russian and international music festivals, including three “Diaghilev Seasons” International Festivals of Arts and the First International Folklore Conference devoted to the 100th anniversary of the famous Jewish folklorist M. Beregovsky. Highly successful concerts in many of the most prestigious Russian venues, including: Oktyabrsky Grand Concert Hall, St. Petersburg Municipal Cultural Center, Glinka Hall of the St. Petersburg Philharmonic, Yusupov Palace Theater, the Malachite Hall of the Russian Institute of the History of Arts, and many others, drew large enthusiastic audiences and were followed by excellent reviews. The ensemble was often featured on national radio and television. Ms. Neplok reorganized the Nigun Ensemble in Boston in 1997 with Russian and American musicians, including faculty from the Boston Conservatory. All members of the ensemble are accomplished musicians with extensive performance experience in Russia, U.S., and abroad. 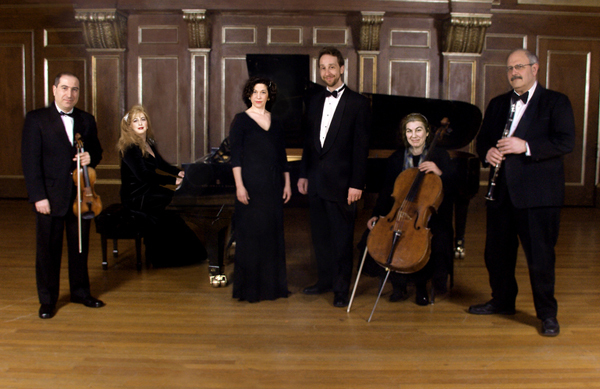 The group had its American premiere at New England Conservatory's Jordan Hall in the festival “Jewish Music: Renaissance and Remembrance” in 1997, and was met with great critical acclaim. The ensemble returned to Jordan Hall, performing in the festival “European Echoes” and other NEC music festivals. The Nigun Ensemble performed in major concert halls, including solo concerts at NEC's Memory and Society Institute, Jordan and Williams Hall, solo concerts and Concert Series in the Boston Conservatory's Seully Hall, Concert Series at Brandeis University and Hebrew College, solo concerts at the Boston University's Morse Auditorium, Congregation Kehillath Israel and Temple Ohabei Shalom in Brookline, Temple Israel in Boston, Temple Shalom of Newton, Inaugural concert in the “Migration + Memory” Concert Series in the Algonquin Club of Boston, the Annual Festival “Artistic Hanukkah”, Russian-American Festival, Boston Jewish Music Festival, Annual Hanukkah Festival at the Museum of Fine Arts, Boston, Newton Festival of the Arts, and many others. The group has been heard on radio and television broadcasts in Boston, New York, and nationally: One-hour Program of “Wandering Stars”, WMNB, New York, “Petersburg Hour”, WMNB, New York, “Classical Performances”, WGBH Radio, Boston, WUNR Radio, Boston, WERS Radio, Boston, Russian Radio, Boston, New York, and BNN TV. Nigun Chamber Ensemble released several CD's, including its new album “The Art of Jewish Music” recorded in Jordan Hall. The Ensemble has received a number of excellent reviews in the press and is a member of NEFA's New England States Touring Roster.